According to an article by the BBC, the Advisory Committee on Novel Foods and Processes is poised to allow chia seeds in a wide variety of products including baked goods, breakfast cereals and nut and seed mixes. 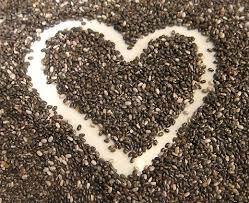 Chia seeds, which were once more precious than gold to the Aztecs, are rich in vitamins (e.g. vitamin A), minerals (including calcium, potassium, magnesium, zinc, phosphorus, manganese and sodium) and are an excellent source of protein, fibre, antioxidants and omega-3 fatty acids. 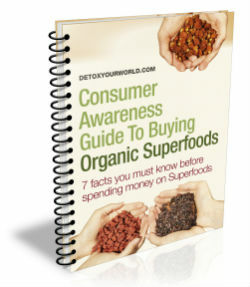 Chia seeds, which also rank incredibly low on the glycaemic index and are thus suitable for diabetics, provide an instant boost of energy and can help to balance blood sugars, lower blood pressure and cholesterol levels, boost our immune system, actively promote weight loss and delay the unwelcome signs of aging. Each of the three delicious chia seed recipes below showcases their unbeatable versatility. What better way to start your day than with this delicious raw chia seed porridge? First pop the chia seeds into a large mixing bowl and add the water. Stir thoroughly and then add the honey and coconut. Mix well before stirring in both the pumpkin seeds and sunflower seeds. As chia seeds absorb plenty of water, your porridge will soon start to thicken nicely. Lastly sprinkle with a generous handful of goji berries and serve with a splash of almond milk. This exotic chia seed smoothie is perfect for enjoying at any time of day. Simply soak the chia seeds in the orange juice for around 10 minutes to allow them to first soften and swell. Next place all of the ingredients into your blender and blitz until creamy! Serve in a long glass and top with an additional sprinkling of chia seeds. This comforting chia seed pudding is not unlike old-fashioned tapioca and makes an ideal dessert for any occasion. This one couldn’t be any easier! Just mix all of the ingredients together and then leave for a few minutes. Repeat this exercise approximately every 5 minutes for half an hour until the chia seeds swell and form a thick, creamy pudding. Serve topped with a generous handful of raw cacao nibs or a light dusting of raw cacao powder. I also find adding chia seeds to soups and stirfrys really simple and delicious. Ңmm is anyone else experiencing prfoblems with the іmages on this blog loading? I’m trying to find out if its a problem on my end oг iif it’s thе blog. Any responses woսld be greatly appreciated.